On May 30th, Intervision Picture Corp. is ripping through the fabric of time to bring back two haunted relics of the analog past. This double feature is bursting at the seams with everything members of the video store generation crave – Bold fashions, mysterious videotapes, slasher hysteria, goofball teens, and some late career slumming by genre deity Vincent Price. 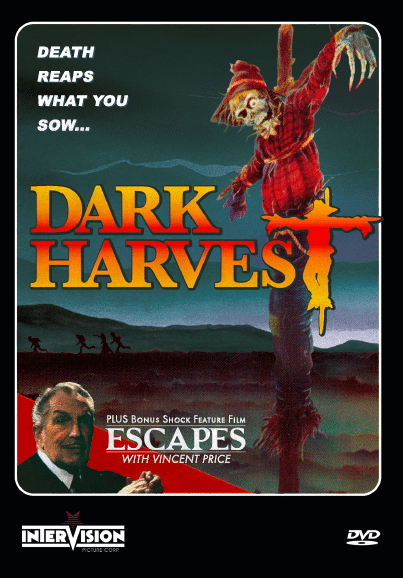 DARK HARVEST: It’s stranded tourists vs. killer scarecrows in this early 90s SOV rarity. They planned on a relaxing horseback ride through the desert… They didn’t plan on engine trouble, long-winded campfire stories, deranged hillbillies with a shotgun, and a dangerous trek over cursed terrain. 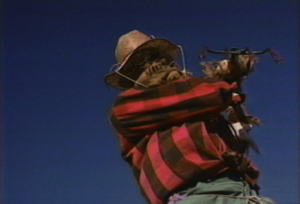 But the real terror begins when they discover that the creepy scarecrow overlooking their campsite has mysteriously disappeared from his cross. ESCAPES: Matthew Wilson didn’t order ESCAPES, but when a mysterious mail carrier delivers a VHS to his door, he pops it in his top-loader, not knowing what real life danger lurks inside the magnetic tape. 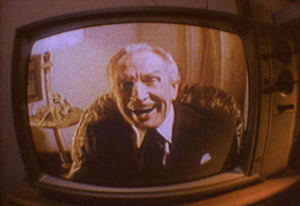 Concluding his run of portmanteau chillers (TALES OF TERROR, TWICE TOLD TALES, THE MONSTER CLUB, FROM A WHISPER TO A SCREAM), horror legend Vincent Price presents these six bizarre tales of the uncanny. 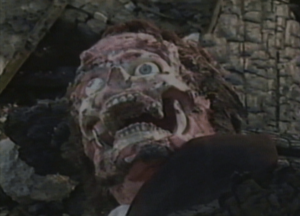 Featuring a bonus short not included on the original VHS release! Posted in News and tagged Dark Harvest, Escapes, Horror Anthology, Intervision, Intervision Picture Corp., SOV, SOV Horror, Vincent Price. Older →Severin To Release Internationally Acclaimed Documentary Future Shock!